An instant Number One New York Times bestseller, Humans of New York began in the summer of 2010, when photographer Brandon Stanton set out on an ambitious project: to single-handedly create a photographic census of New York City. Armed with his camera, he began crisscrossing the city, covering thousands of miles on foot, all in his attempt to capture ordinary New Yorkers in the most extraordinary of moments. The result of these efforts was "Humans of New York," a vibrant blog in which he featured his photos alongside quotes and anecdotes. The blog has steadily grown, now boasting nearly a million devoted followers. 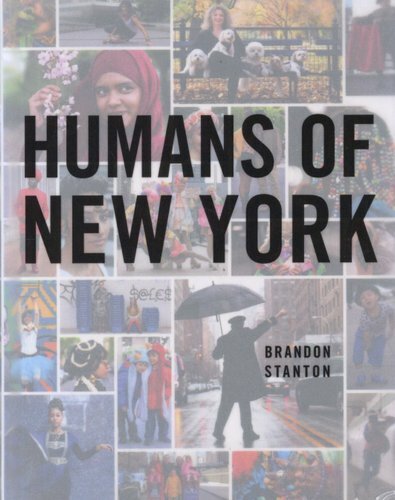 Humans of New York is the book inspired by the blog. 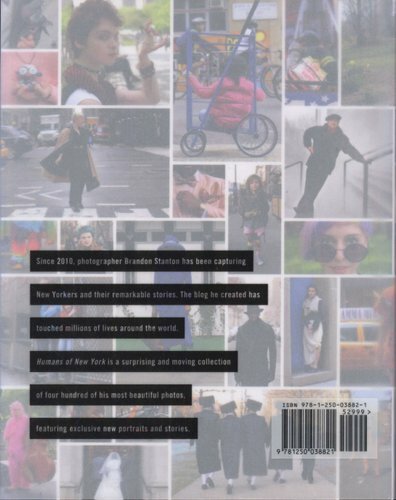 With four hundred colour photos, including exclusive portraits and all-new stories, and a distinctive vellum jacket, Humans of New York is a stunning collection of images that will appeal not just to those who have been drawn in by the outsized personalities of New York, but to anyone interested in the breathtaking scope of humanity it displays.